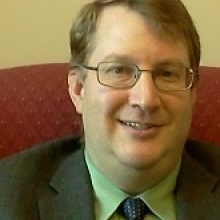 Dr. Paul Crane is a general internist and researcher on the faculty at the University of Washington. His research has focused on the use of psychometric tests in medical settings. In particular, he has focused on patient reported outcomes through the PROMIS initiative, and on cognition. His work on cognition led to the field of Alzheimer's research, and he has been involved with the Adult Changes in Thought (ACT) study since his fellowship in 2002. He helped to write the Electronic Medical Records and Genomics (eMERGE) proposal from Group Health (now Kaiser Permanente Research Institute) and the UW; eMERGE included funds for genotyping samples from s 2,400 ACT participants. They contributed those data to the Alzheimer's Disease Genetics Consortium (ADGC), which has also genotyped samples from an additional 400 participants. As ACT's liaison to the ADGC, he has been involved with several ADGC projects, including leading or co-leading groups on pathway analyses, gene-wide approaches, and association studies of the rate of cognitive decline among people with Alzheimer's disease. He served as PI of an R01 in which his group applied psychometric methods to data from the Alzheimer's Disease Neuroimaging Initiative. This study led to the successful development of a memory composite score (ADNI-Mem), an executive functioning composite score (ADNI-EF), and an extension of the Alzheimer's Disease Assessment Schedule for Cognition (the ADAS-Cog) to add additional executive functioning content, called the ADAS-Cog-Plus. They used these scores to evaluate MRI and PET correlates of memory and executive functioning among people with normal cognition, mild cognitive impairment, and Alzheimer's disease. Crane also investigates the difference between memory and executive functioning among people with early Alzheimer's disease. At one extreme of that distribution are people with relatively intact memory but profoundly impaired executive functioning, a clinical subgroup known as dysexecutive, frontal variant, or executive prominent Alzheimer's disease. His group has published on genetic correlates of this subgroup, and also used imaging and cognitive data to define a resilience phenotype.